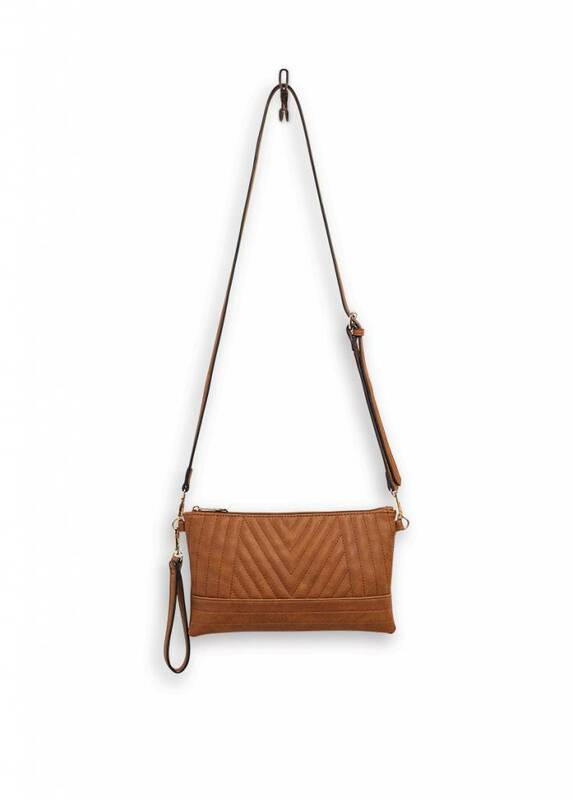 With its simple silhouette and striking details, the Rumor crossbody is perfect for the girl who wants to keep her look simple with a bit of edge. Our deluxe, vegan leather feels and looks just like real leather but is 100% eco-friendly and biodegradable. Your belongings stay safe with a zipper closure. 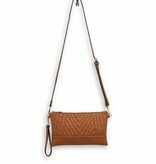 Removable, adjustable crossbody strap. Removable wrist strap.